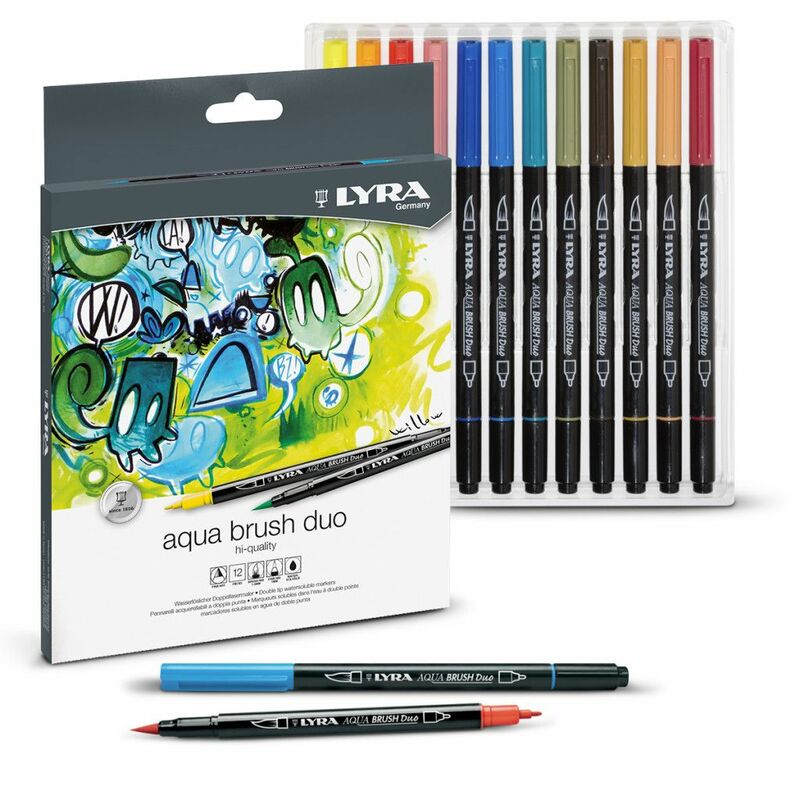 A set of double-ended felt-tip pens, for artists, designers and enthusiasts of all ages. The two tips are very durable and will produce the same high quality results for a long time. The brush tip at one end allows you to use a technique similar to painting. 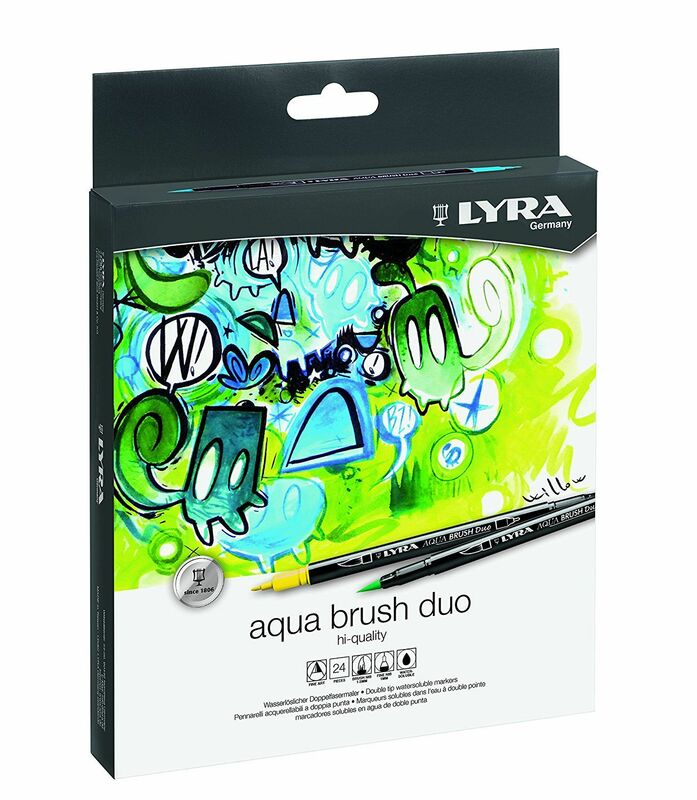 The other fine tip can be used to draw thin, precise lines to create perfect drawings. The water-based inks can be mixed together. They can also be used like water-colours. You just need to apply the colours to a shiny surface such as a plastic sheet or an old CD and mix them with water and paint-brush to create some beautiful effects.